Everybody “knows” Neil Young (and this is nowhere). But we’ve found that only a subset of folks younger than 50 actually know three consecutively-released albums from the mid-70s that define Neil Young for us. There’s a reason for that. Unless you held on to your turntable and owned the vinyl versions of these albums before the world went digital, the good part of a generation didn’t have much opportunity to hear Young’s harrowing hat-trick of consecutively great records: Tonight’s the Night, On The Beach, and Zuma. On The Beach was released in 1974, went out of print on vinyl in 1980 and wasn’t released digitally until 2003. Tonight’s The Night and Zuma, both released on vinyl in 1975, weren’t released on compact disc until 1990. So 15-30 years lapsed between when these albums were originally released on vinyl and when they were released digitally. To sum up (in the words of the Talking Heads): “Some of you people just about missed it!” And that is a crying shame because some of the most original and emotionally-charged music in all of rock n’ roll appeared on these three albums. As has been written about more thoroughly elsewhere and everywhere, these three albums comprised Young’s emotional reaction to a rash of events: stardom encountered following the commercial success of Young’s album Harvest; the trials and tribulations of being in the super-group Crosby, Stills, Nash & Young; the overdose deaths of entourage members Bruce Berry and Danny Whitten; and Young’s failed relationships. All were fodder for one of the greatest creative periods in Young’s musical life. And in our book, you can’t praise much more than that. On the Beach was inspired in part by the overdose deaths of Danny Whitten in 1972 and Young’s roadie Bruce Berry the following year. Young wrote and recorded the harrowing, wee-small-hours Tonight’s the Night late in 1973, but first released On the Beach. Young released Tonight’s the Night the next year. He then finished off the hat-trick by releasing the rocking Zuma later that same year. 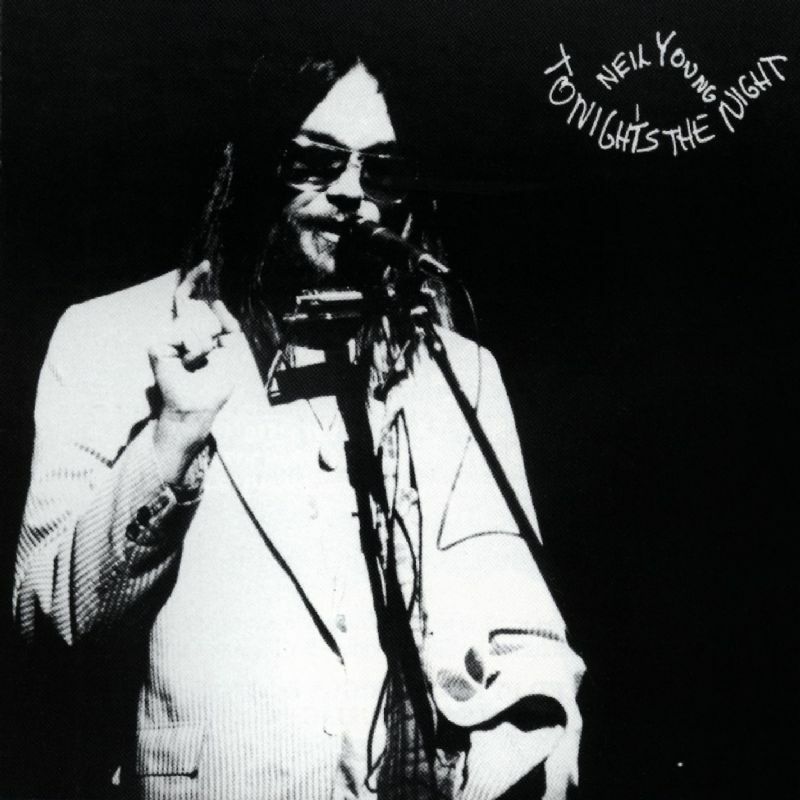 As mentioned, despite containing some of Young’s best songs, Tonight’s The Night was rejected by his label for being too unpolished and grim (just listen below to Young’s heartfelt, ravaged vocals on Mellow My Mind and his soul-reduced Tired Eyes). So Young instead offered up the barely-less ominous album On The Beach. Hence the latter’s being released first. Taking these albums in their proper chronological order, Tonight’s The Night features several of our favorite songs by the artist and of all-time, including Borrowed Tune, Albuquerque (decrying notoriety), Tired Eyes, the title track and Mellow My Mind. 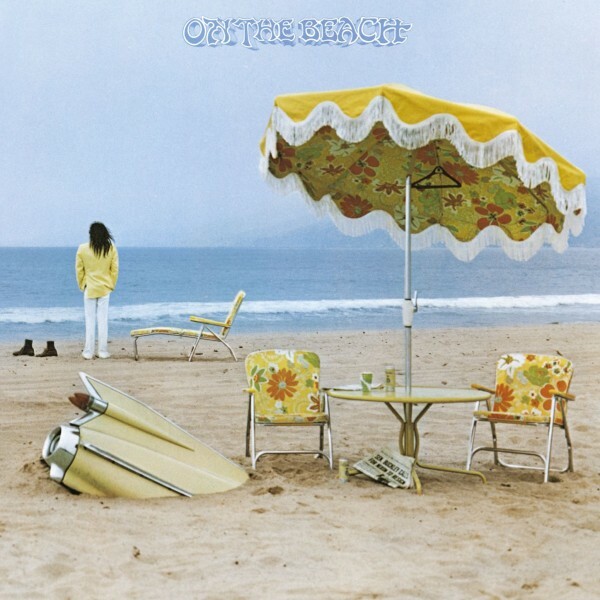 On The Beach features the signature songs Ambulance Blues (damning his critics, amongst other things–lyrics at bottom), the title track (rejecting stardom), Motion Pictures (an elegy on his relationship with then-wife Carrie Snodgrass), For The Turnstiles and the raving Revolution Blues (about Charles Manson). 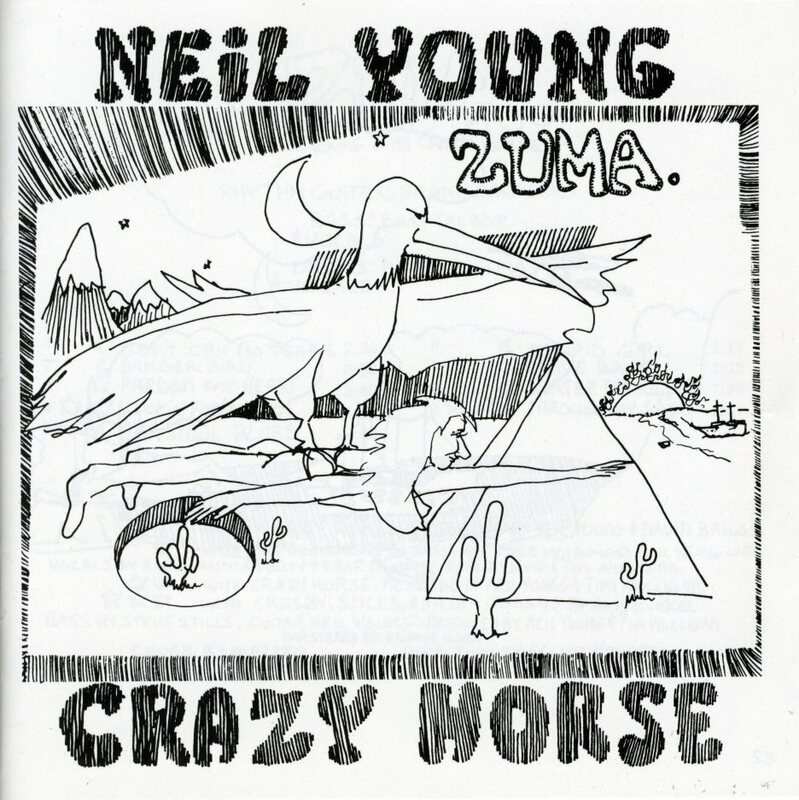 And finally, Zuma contains a quiver of the best songs Young’s ever recorded, including the astonishingly great Barstool Blues, Don’t Cry No Tears, Pardon My Heart, Through My Sails and, why not, Cortez The Killer (in case you’ve been living under a rock and haven’t heard it). If you haven’t heard (or even if you have) any of the songs mentioned above, check them out below. And if you don’t own these three album masterpieces, add them soon to your collection. and I hope it isn’t you. Well, I’m up in T.O. You don’t know it but you are. and hope it isn’t you.